True Grit, the second adaptation of Charles Portis’ 1968 novel of the same name, is the latest film from writer/director duo Joel and Ethan Coen, and a robust one at that. The film centres on Mattie Ross (Hailee Steinfeld), 14-year-old farm girl, who, when her father is murdered, sets out to capture the killer, hired hand Tom Chaney (Josh Brolin). To aid her, she hires the toughest U.S. marshal she can find, Reuben J. Cogburn (Jeff Bridges). Mattie insists on accompanying Cogburn, whose drinking, sloth, and generally reprobate character do not augment her faith in him. Against his wishes, she joins him in his trek into the Indian Nations in search of Chaney. They are joined by Texas Ranger LaBoeuf (Matt Damon), who wants Chaney for his own purposes. The unlikely trio find danger and surprises on the journey. 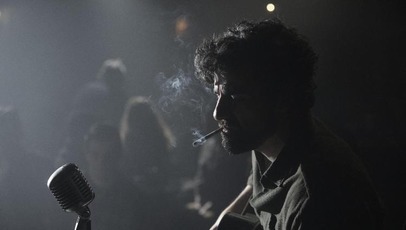 The Coen brothers have masterfully constructed a sombre, funny, elegiac and steadfastly if unconventional film, one peppered with sharp, witty one liners and surreal character interactions to lighten the mood. The unconventional relationship between the unlikely trio is surreal, yet oddly captivating and sentimental. The testing environment and the harsh journey from which they are brought together forces them to establish a life-long, truth-worthy bond. With the help of their trusty cinematographer Roger Deakins, the Coens use the barron landscape beautifully, capturing the grandeur of ripply rivers, craggy trees and desolate Indian Nations. Each and every visually minimalistic, yet suitably informative shot feels vital and imperative to the films overall tone and semblance. The real heart of the film, however, lies in the performances. The casting is inspired and exact, and each actor thrives in the rich landscape so delicately constructed by the Coens. Bridges and 14-year-old newcomer Steinfeld, in particular, give noteworthy and convicted turns as Reuben and Mattie, respectively. Bridges is outstanding yet again; funny yet meaningful, truly just a juggernaut at the peak of his career. Steinfeld, on the other hand, emerges from obscurity and delivers a blow-away, fearless turn as Mattie, a girl with a vengeance that won’t quit. Matt Damon, Josh Brolin and Barry Pepper all have value and tonality in their respective supporting roles, but unfortunately never match the giddy heights of the two leads. True Grit – while it may not match the perfection of No Country for Old Men – is a masterfully written, beautifully directed and unforgettably acted Western by the masters of modern-day cinema.